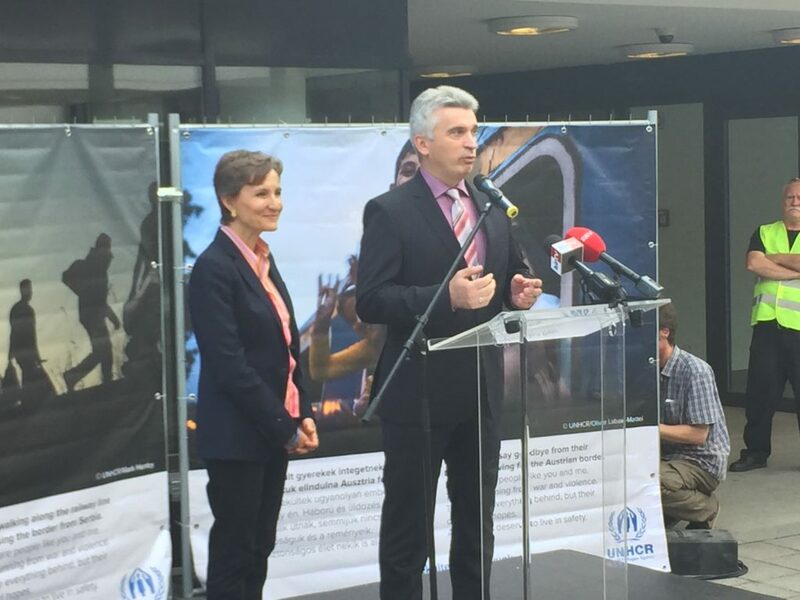 UNHCR, the UN refugee agency, kicked off World Refugee Day 2016 today. 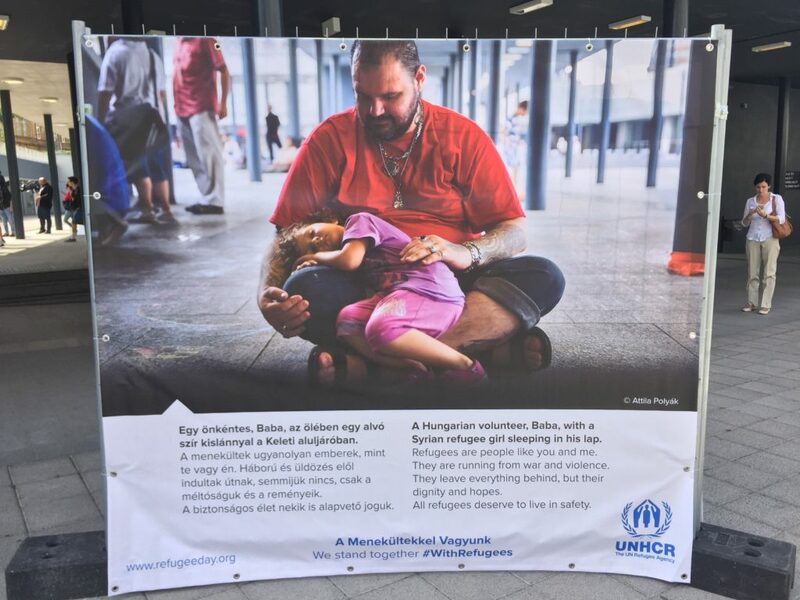 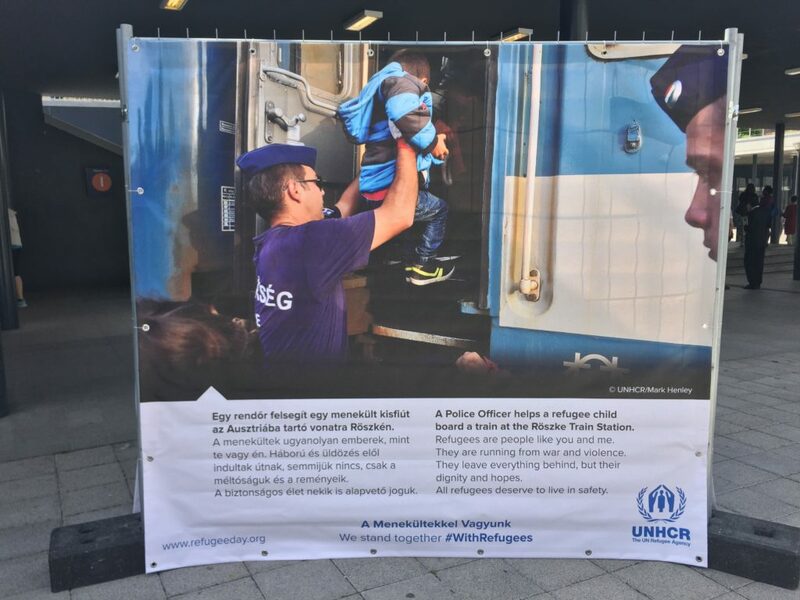 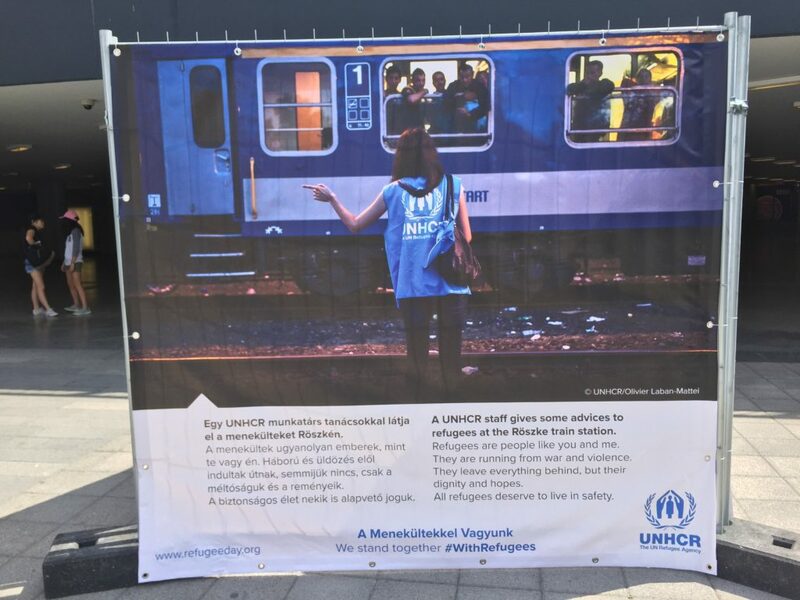 In Budapest, the day was observed with a photo exhibition at Budapest’s Keleti (Eastern) train station — the main public transportation hub used by asylum seekers passing through Hungary in 2015. 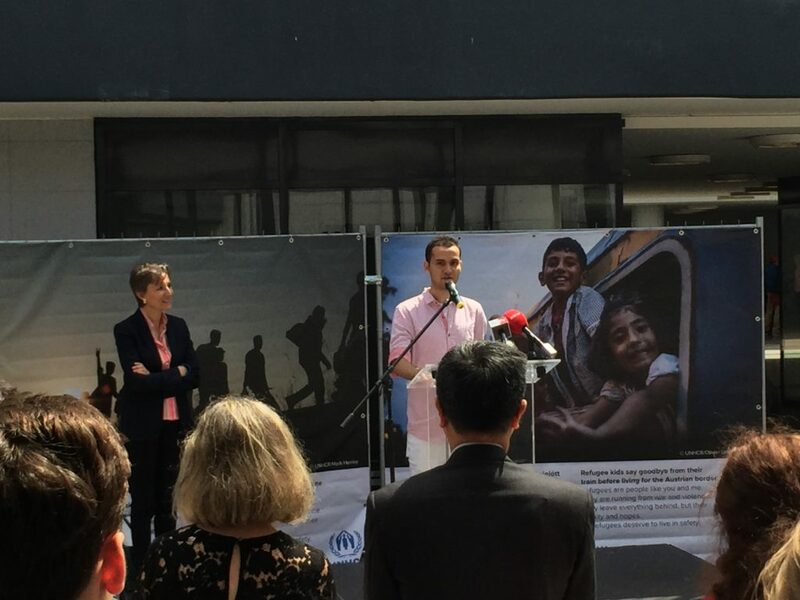 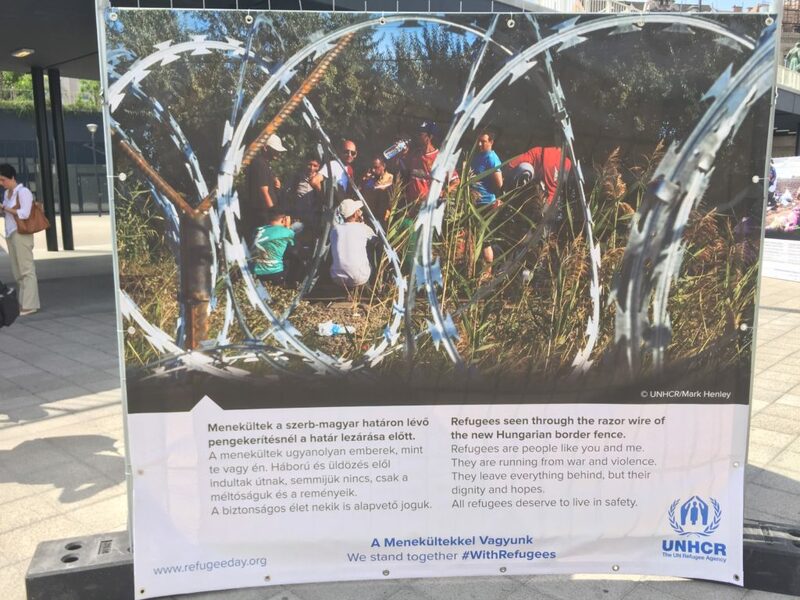 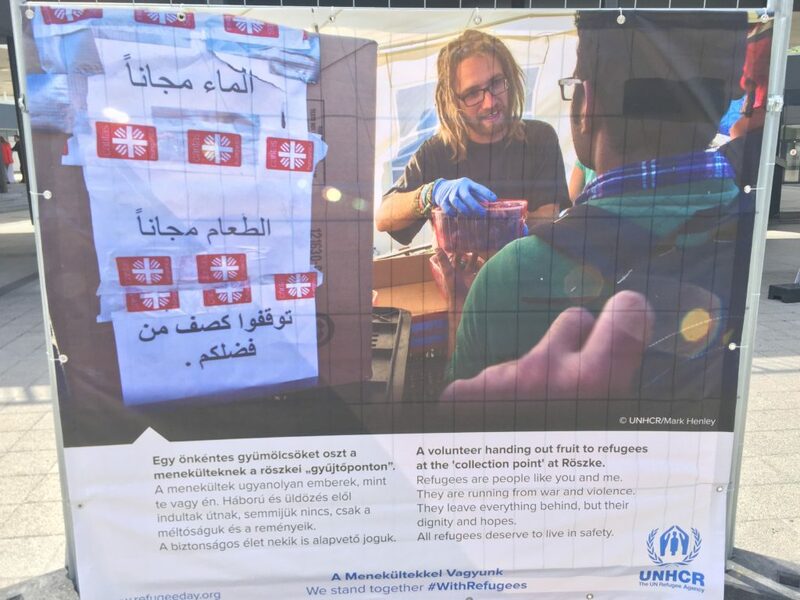 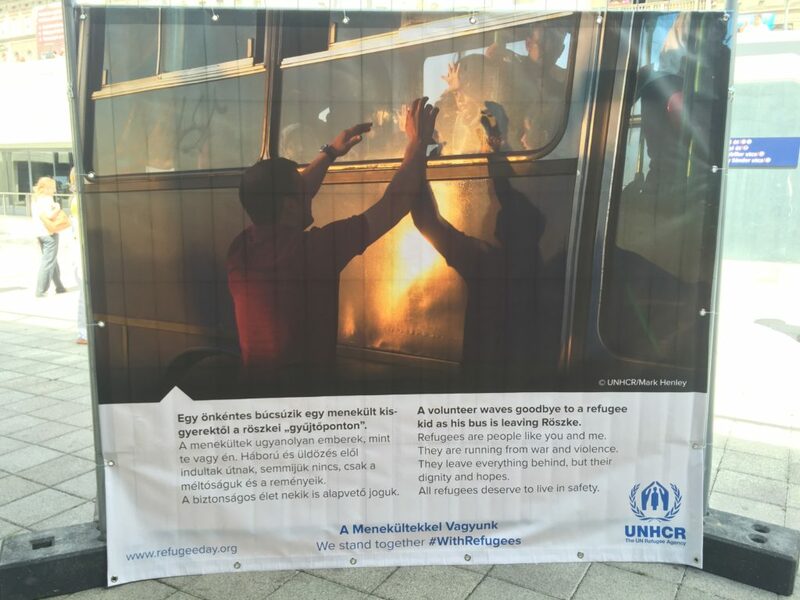 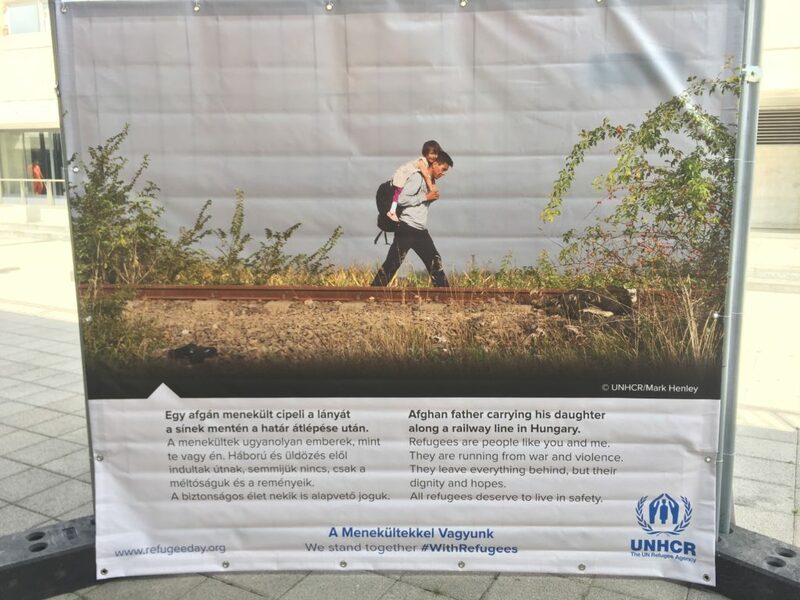 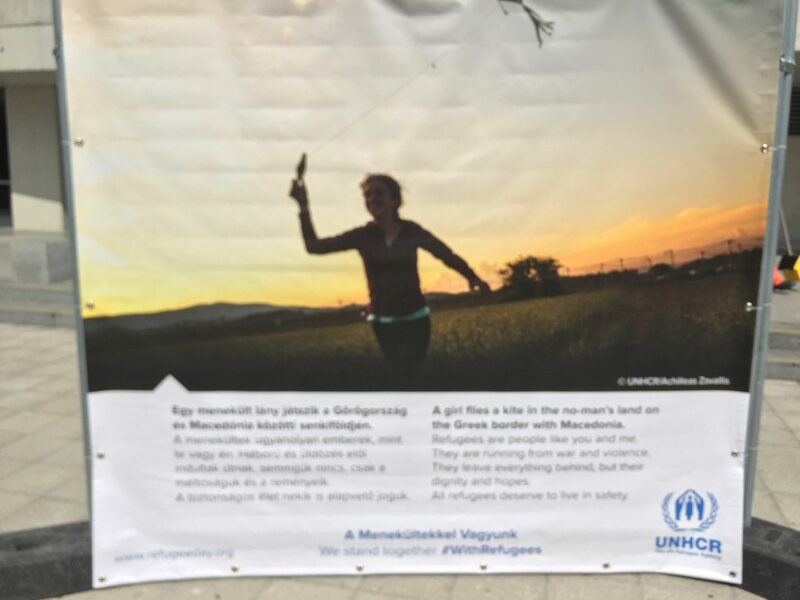 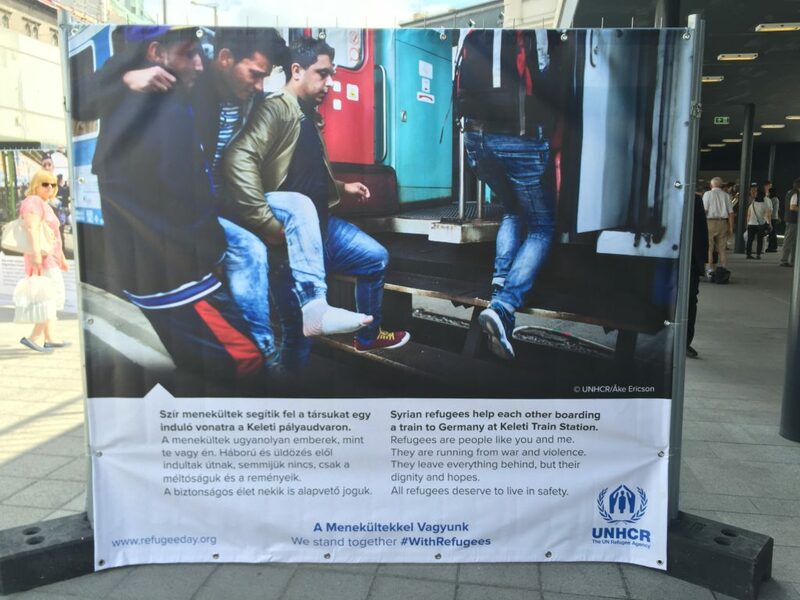 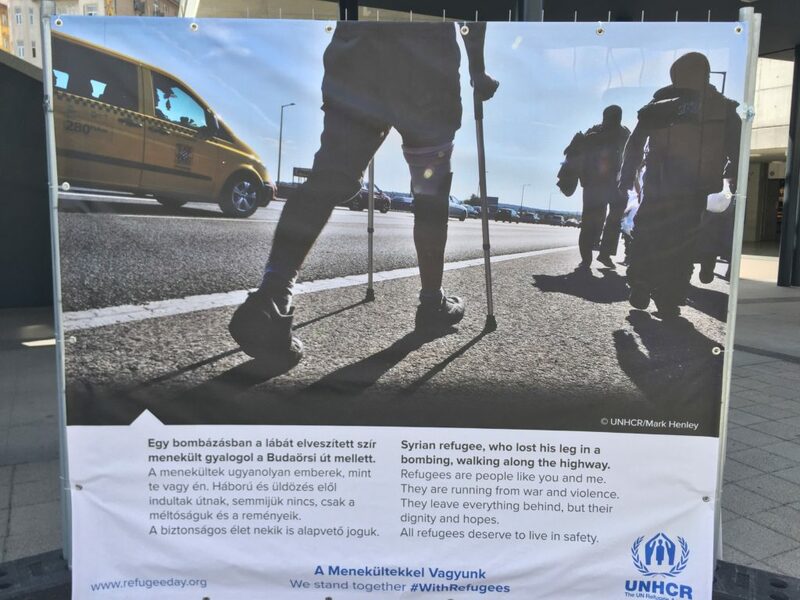 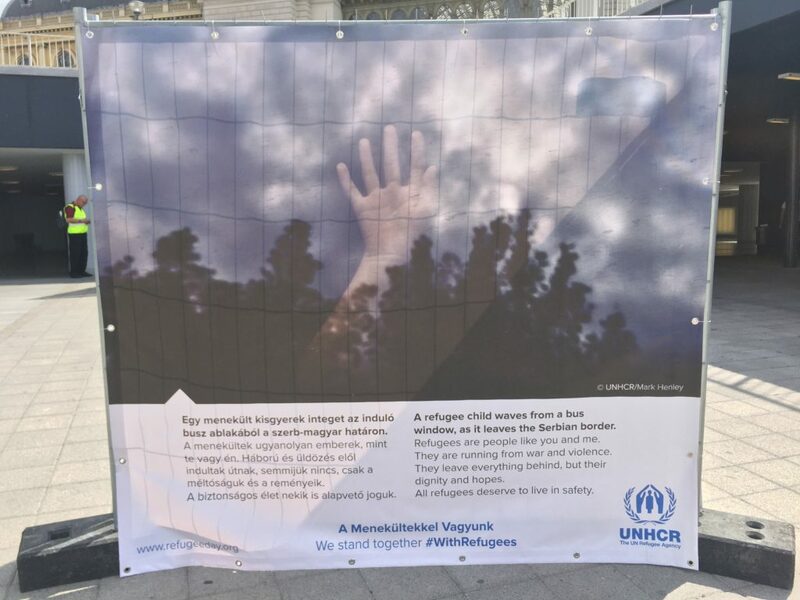 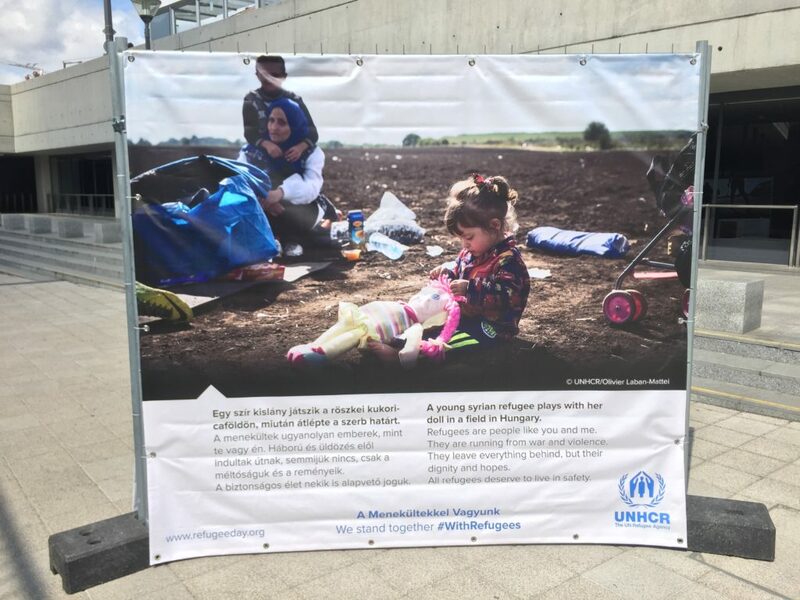 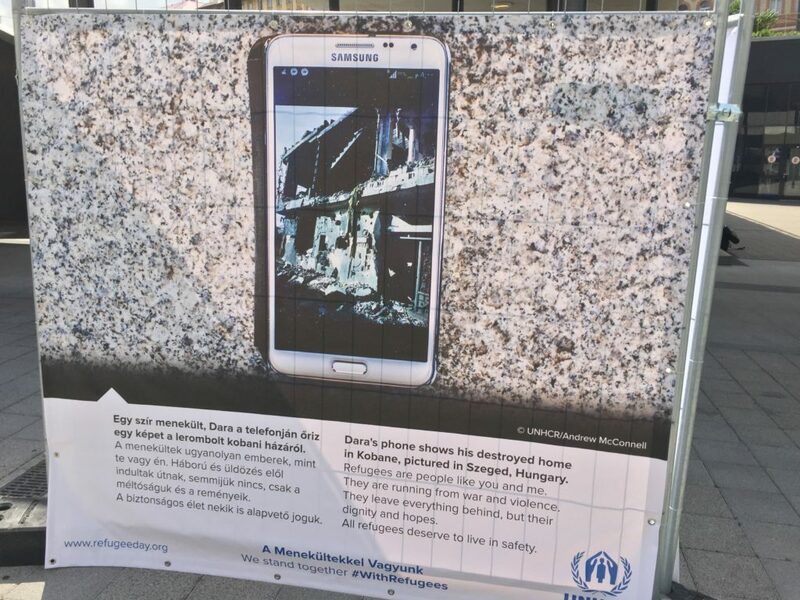 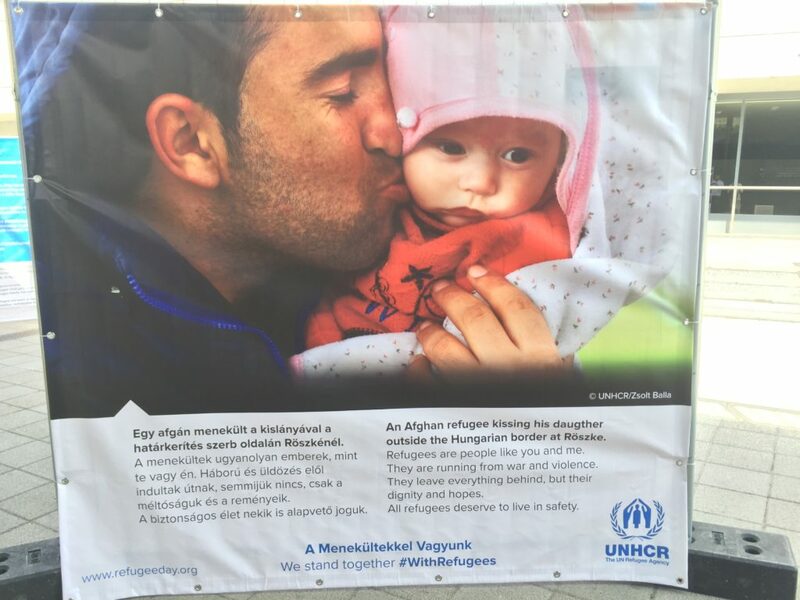 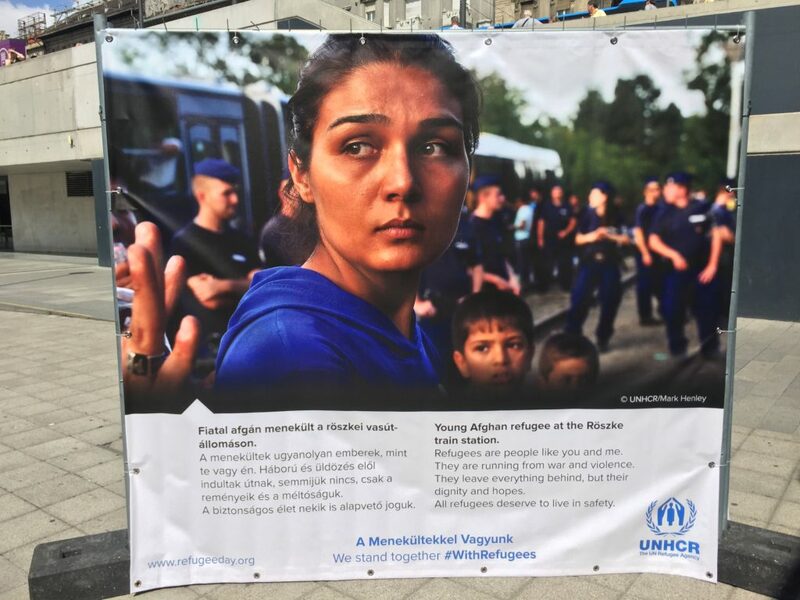 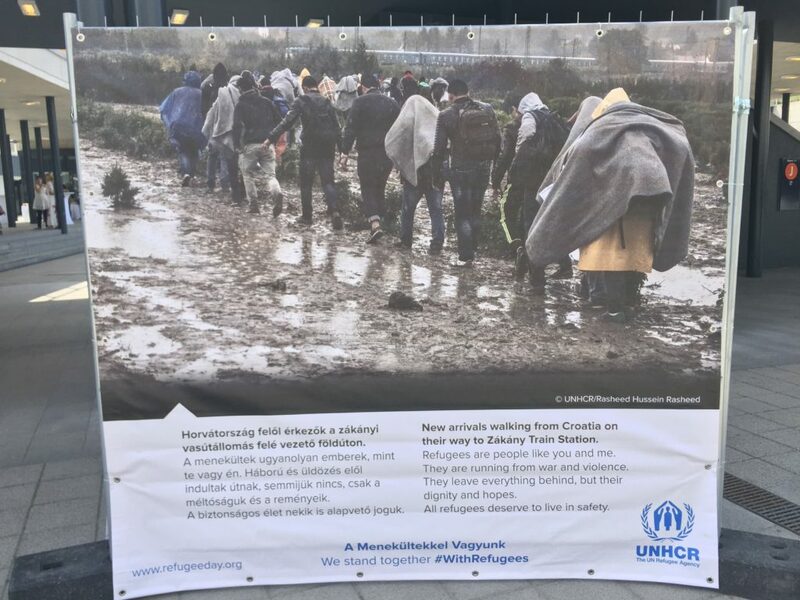 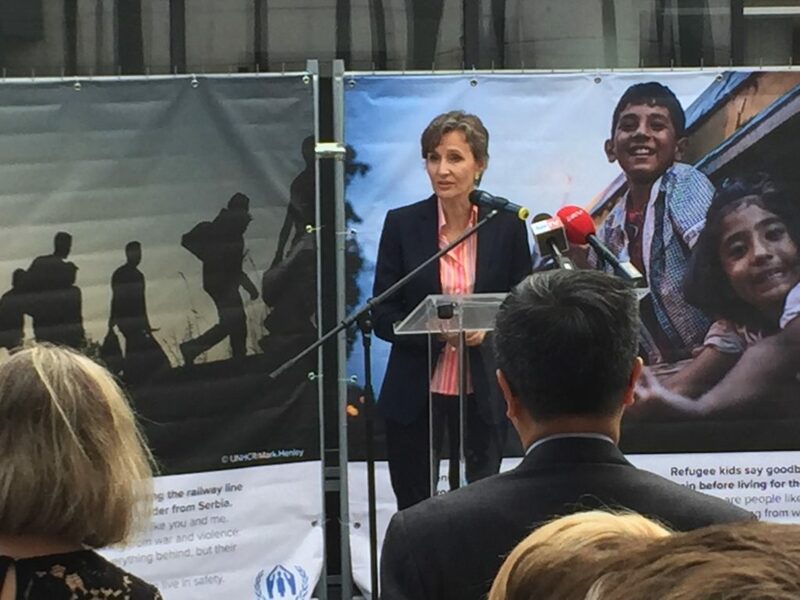 The exhibition was opened by UNHCR’s Hungary spokesman Ernő Simon, and included speeches by UNHCR regional director for Central Europe Montserrat Feixas Vihé, Keleti Train Station volunteer and refugee relief coordinator Tamás Léderer, and refugee Mohamad Al Nazer. 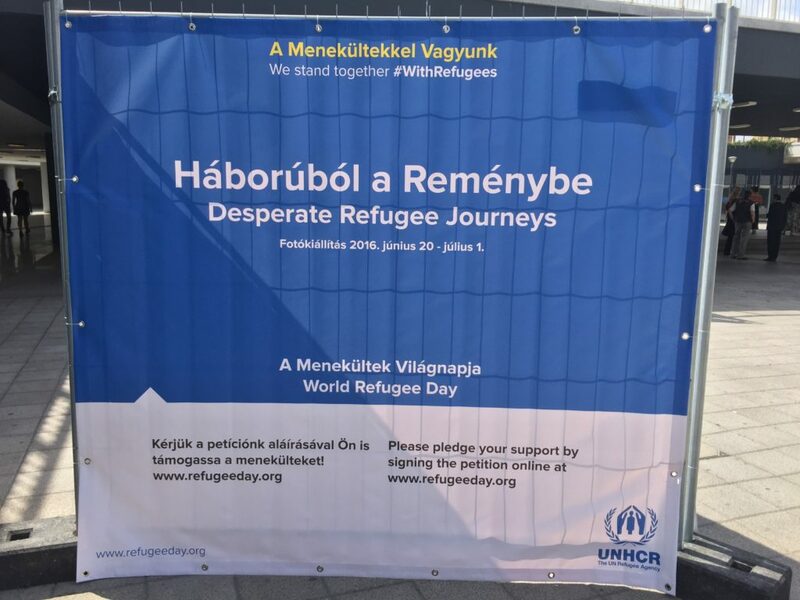 Montserrat Feixas Vihé avoided criticizing the Hungarian government’s management of the refugee crisis, but she did praise the work of volunteers around Hungary for helping provide asylum seekers with care and attention as they arrived in the country. 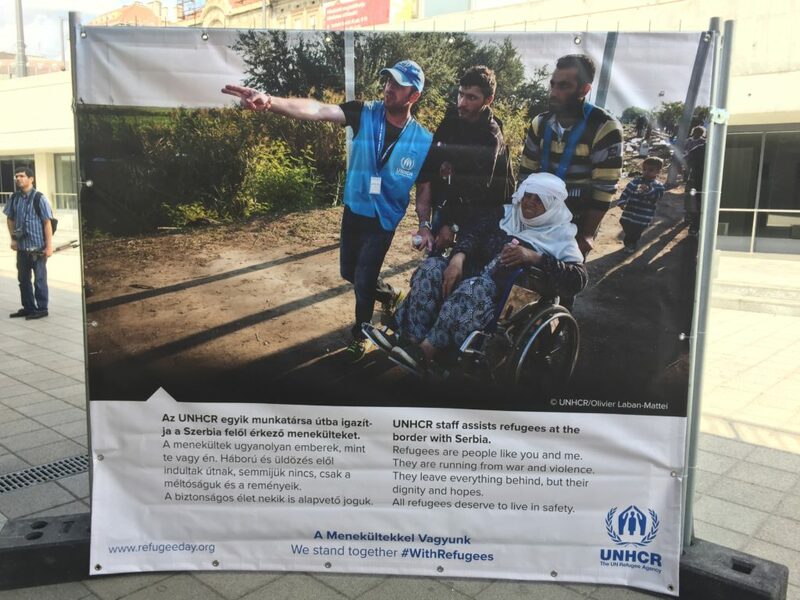 Tamás Léderer told the attendees that his professional background as a financial consultant did not quite fit the “usual suspect” stereotype of a volunteer helping those in need at the train station. 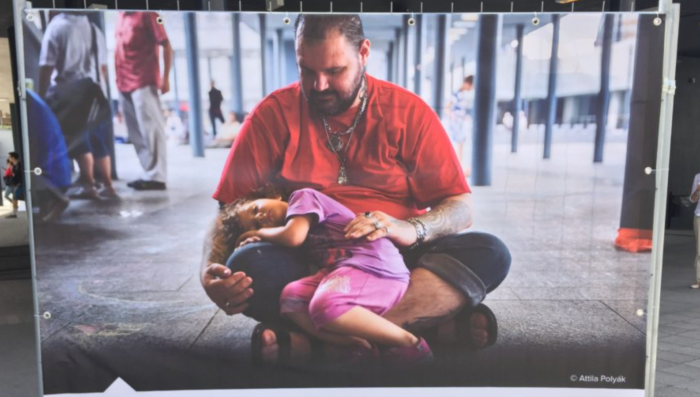 Regardless, he said, he dropped the suit and tie for recreational clothing and came out to help coordinate the relief effort at the Keleti station (and around the country). 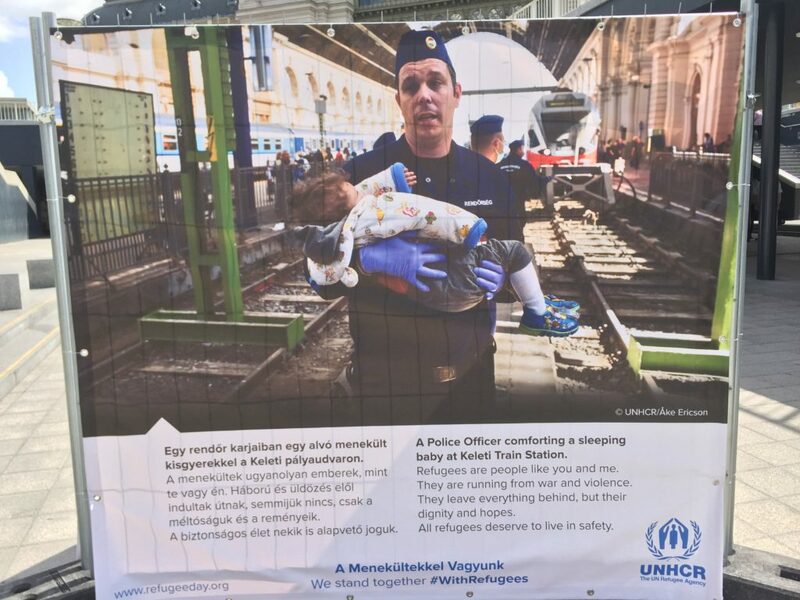 According to Léderer, the volunteers who came to help at Keleti represented virtually all walks of life. 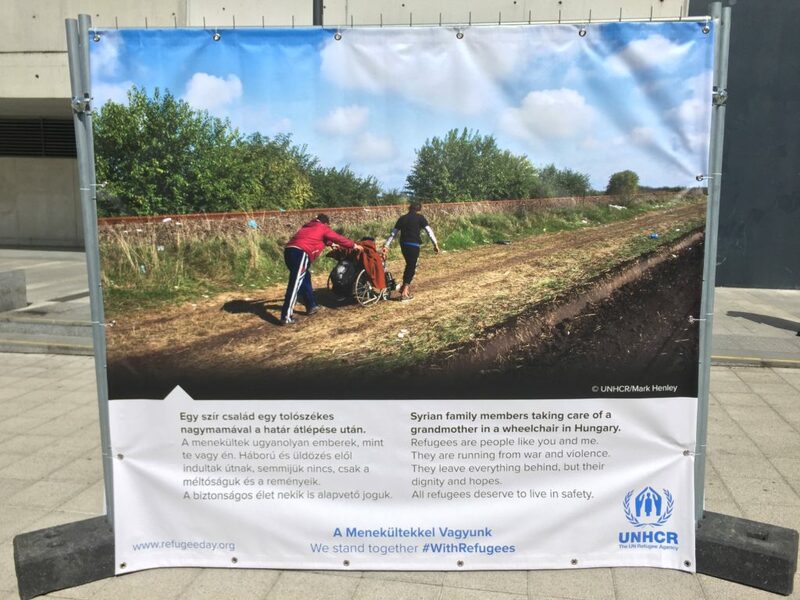 Many people worked tirelessly to help clothe, feed and provide aid to the asylum seekers Léderer did not shy away from condemning the poor treatment of the asylum seekers by Hungarian authorities. 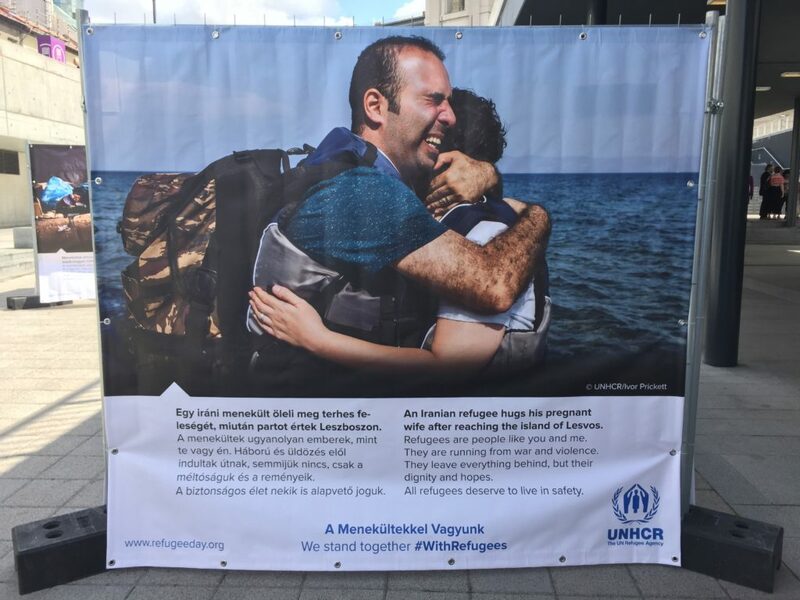 Mohamad Al Nazer, a native of Damascus, Syria, shared his personal story with attendees. 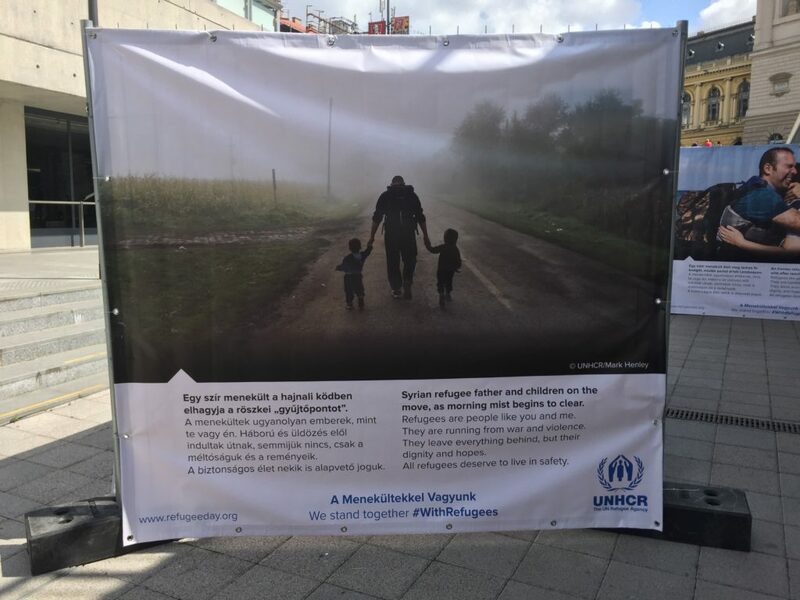 Al Nazer moved to Hungary three years ago after the worsening situation in Damascus prompted his father to move the family abroad. 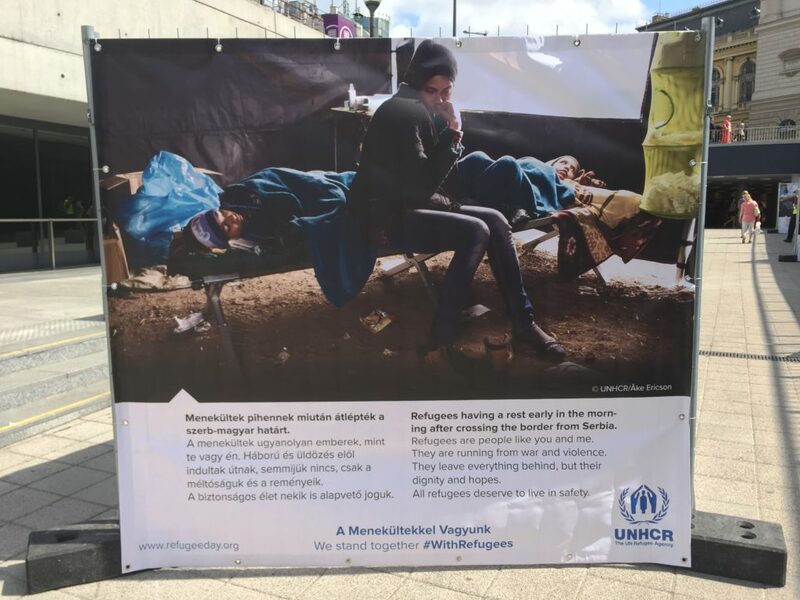 Al Nazer, who was also actively involved in helping asylum seekers in Hungary during the peak of the refugee crisis, explained that asylum seekers endure great hardships on their journey to Europe. 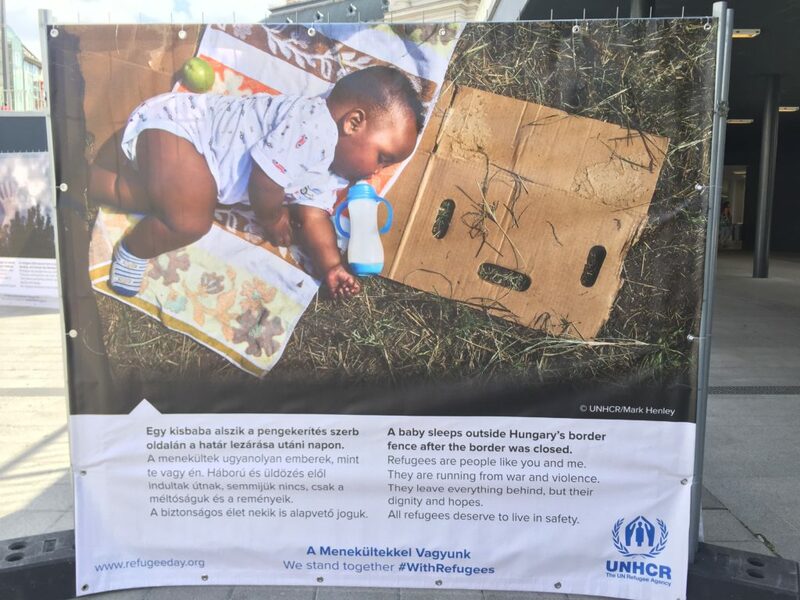 Since arriving in Hungary, Al Nazer has learned to speak English and Hungarian, works in multimedia creation, and is currently enrolled in a Hungarian college. 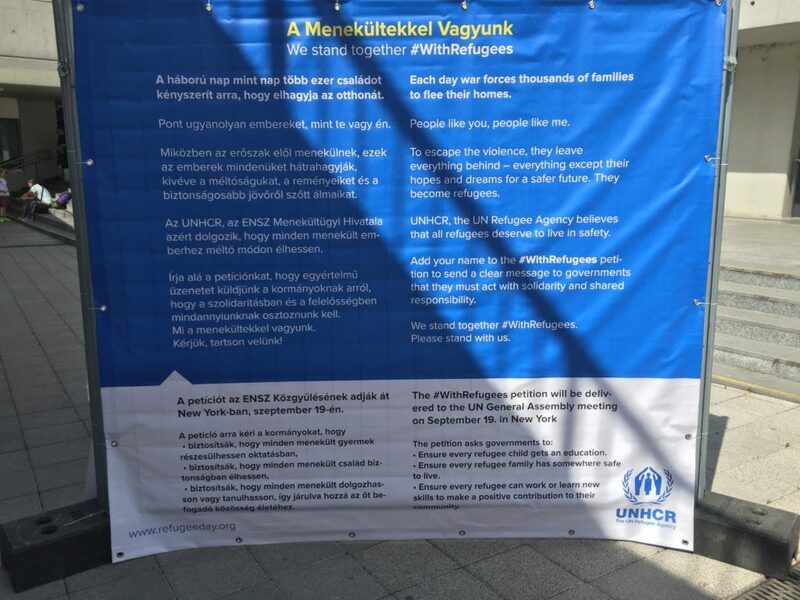 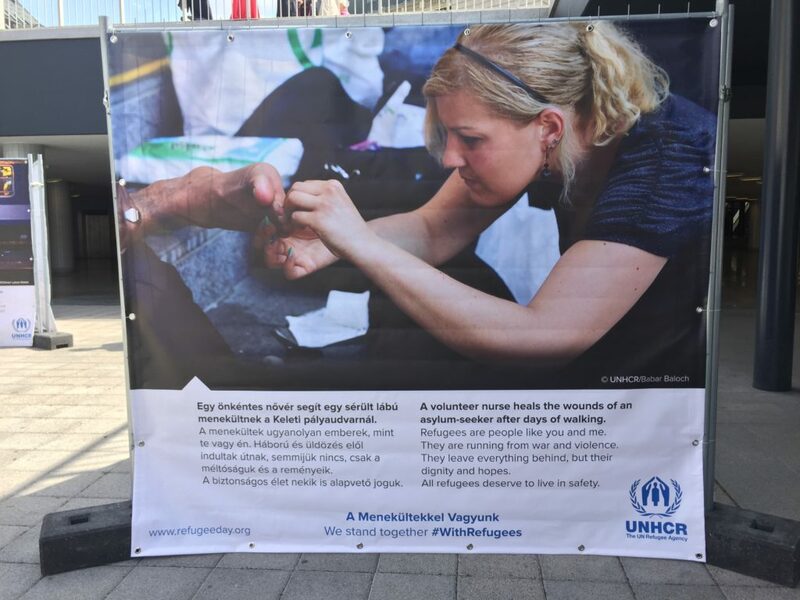 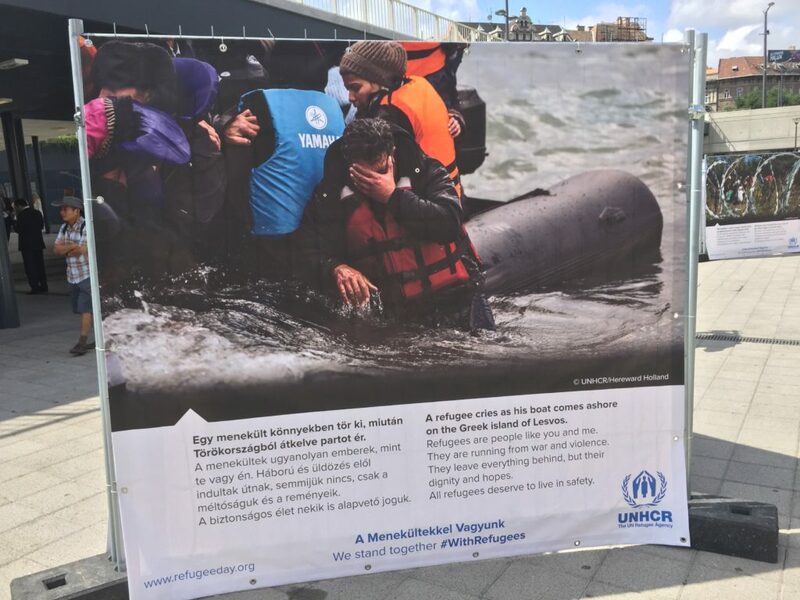 World Refugee Day 2016 is also being used by UNHCR to raise awareness about their #WithRefugees campaign, a petition that will be delivered by UNHCR to the UN’s General Assembly meeting in New York City on September 19. 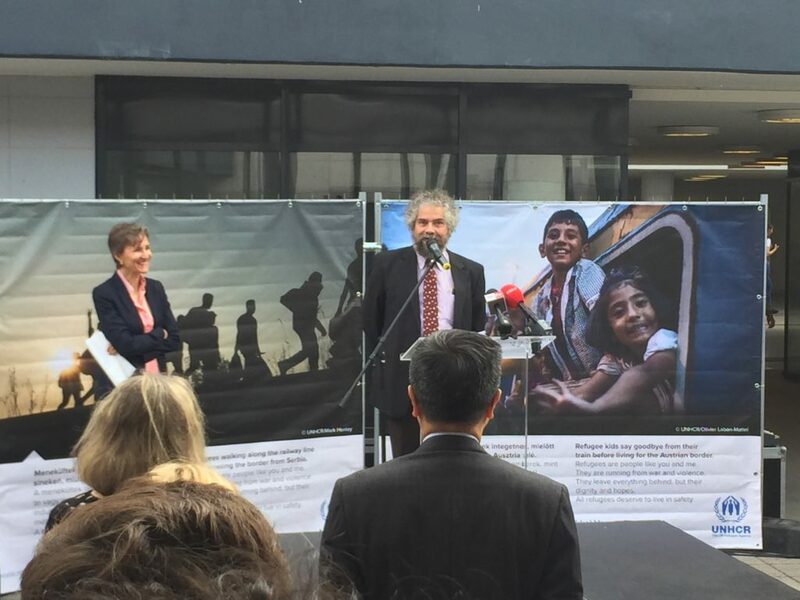 The petition will call on governments to ensure that every refugee child gets an education, that every refugee family has somewhere safe to live, and that every refugee can work or learn new skills to make a positive contribution to their community.